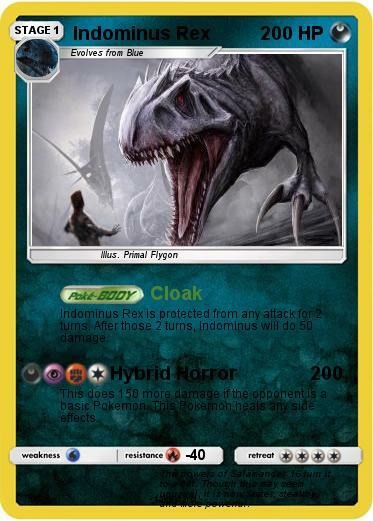 Indominus Rex is protected from any attack for 2 turns. After those 2 turns, Indominus will do 50 damage. This does 150 more damage if the opponent is a basic Pokemon. This Pokemon heals any side effects. Comments : The powers of Salamander 16 turn it to a cat. Though this may seem unusual, it is now faster, stealthy, and more powerful.